INTUMESCENT STRIP, FIRE RATED CORREX, FIRE RATED CARPET PROTECTOR, FIRE RATED FOAM, FIRE RATED ACRYLIC SEALER, FIRE RATED BUBBLE WRAP AND A LARGE RANGE OF OTHER FIRE RATED PRODUCTS. 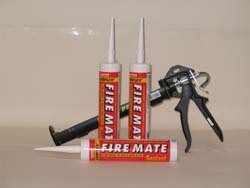 Beacon stock a full range of fire rated products used within the building and construction industry. We have many years of experience sourcing and supplying the right fire rated product fot the right job.Now because of the changes in legislation and safety standards over the past few years the use of fire rated products has increased tenfold. 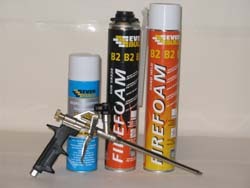 Listed below are some of the most popular products that we stock. If you have any requirements for these products give Beacon a call - we guarantee you a competitive price and excellent delivery service.